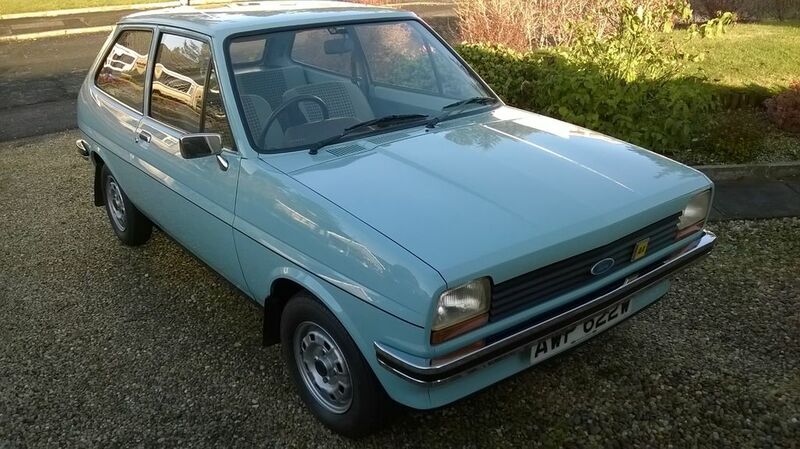 he car is an Oct 1980 Mk 1 Ford Fiesta L, 957cc in Nordic Blue, reg no AWP622W, 34600 miles and effectively 1 owner. 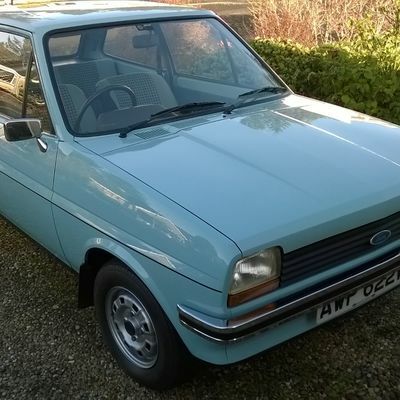 When the Lady owner gave up driving the mechanic who had maintained it from new bought it but two weeks later was diagnosed with terminal cancer so the car was parked up in a lockup for two and a half years but serviced and MOT'd each year till I bought it from the son. Apart from a rear wiper and driver's door mirror the car is standard and I have all the service records.